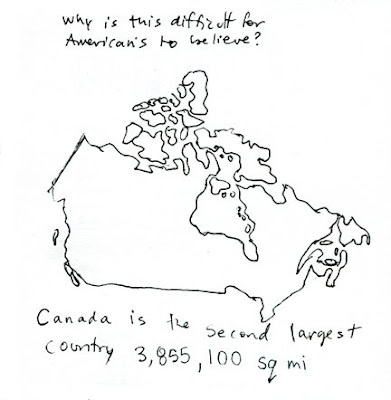 And that's a pretty good drawing of Canada, too! Wow -- that caught me off-guard. I figured with Alaska and all, the USA would be bigger. But alas, Wikipedia knows all. I learned something new today.